When you put on your watch before stepping out for the day, do you ever stop to actually look at the accessory you’re wearing? Is it merely there to tell time? Do you look at it as an extension of your wardrobe, maybe even an extension of who you indeed are? There is no reason why a watch cannot give you goosebumps just by looking at it. Very few companies can achieve that feeling, and even less can do so at a reasonable cost. There is one company, though, that is making waves in the watch industry and changing the way we value these accessories. 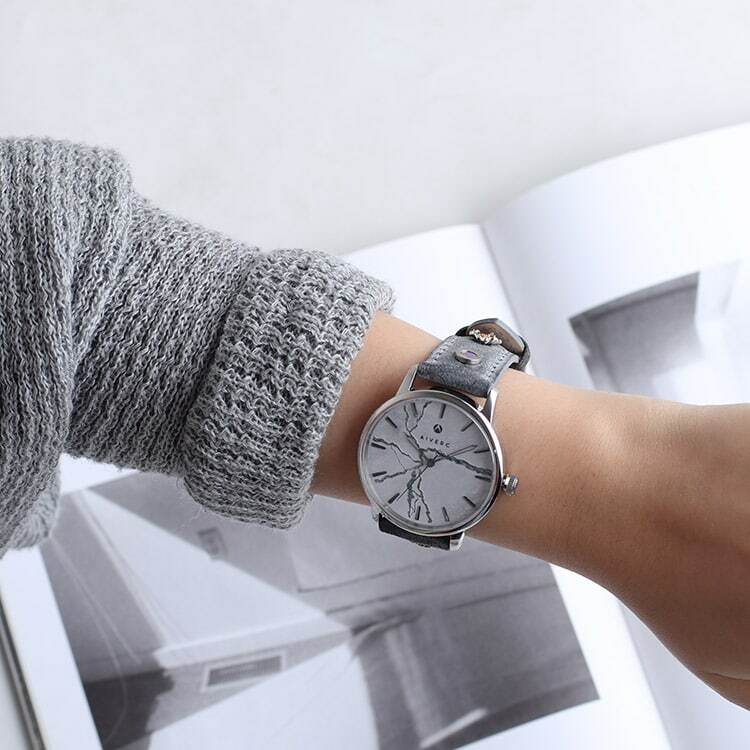 Aiverc watches take an everyday device that tells time and turning it into a bold and sophisticated watch that embodies all of your personality into a small accessory on your wrist. 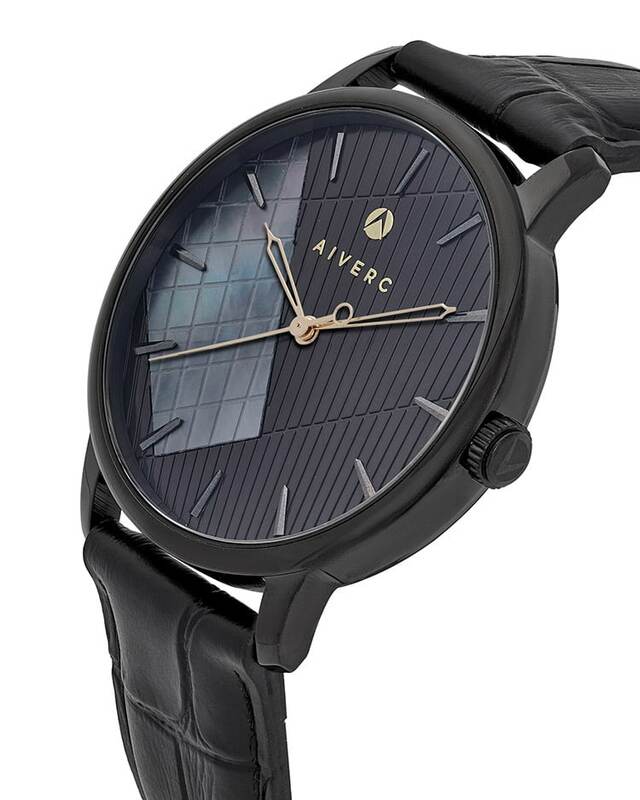 Sydney-based watch designer Aiverc is launching a crowdfunding campaign on Kickstarter to help fund further production and expansion of its contemporary watch line. 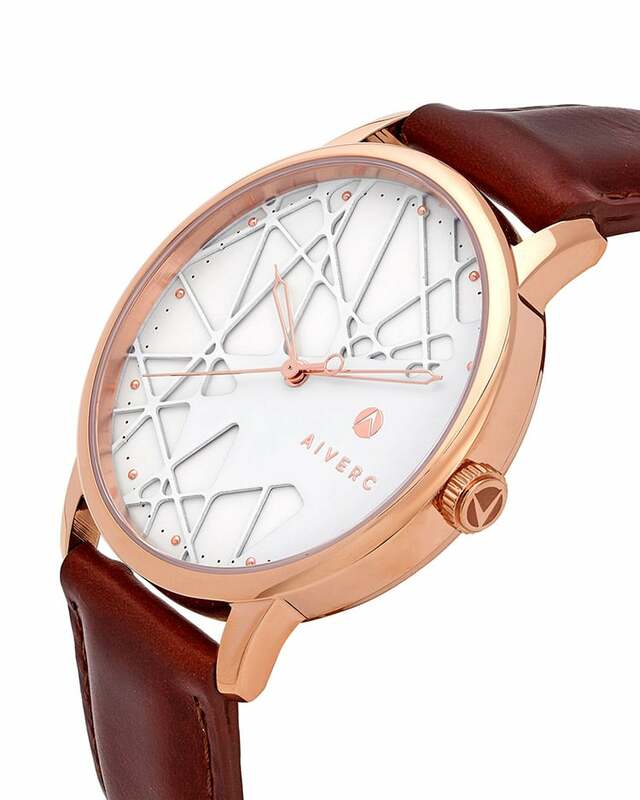 Struggling to find a wristwatch that perfectly expresses your elegantly bold lifestyle while showcasing sleek designs is now an issue of the past, thanks to the unique line of Aiverc watches. Consisting of premium stainless steel components and genuine sapphire crystal glass, Aiverc derives its grandeur from the work of contemporary architect Jørn Utzon and strives to embody the feel of an evening spent at the opera house or museum. Delivering a portfolio of three watches based on grand architectural masterpieces from around the globe, Aiverc is pushing to provide a quality watch for anyone and everyone. Unlike ever before, feel ultimately confident while wearing the undeniably soft calfskin leather band and dependent top-quality quartz movement piece. Deriving their look and feel from the work of contemporary architect Jørn Utzon, these timepieces were designed for those looking express themselves. With their bold designs this line strives to push the boundaries of fashion, just like Utzon redefined the world of architecture. The Jørn Utzon line currently offers three stunning watch designs. As the first design, the Opera is deeply associated with the love of our designer in architectural and minimalist. The clean white and abstract dials are inspired by the beautiful Sydney Opera House. This watch derives its dial design from the beautiful Sydney Opera House, by the legendary architect Jorn Utzon in 1957. His vision for a sculptural, curved building on the Harbour broke radically with the cube and rectangular shapes of modernist architecture. Therefore this OPERA design is a tribute to Jorn Utzon and all other architects that affects our daily lives with its structural designs. It’s a complex blend of textures and layers that draws you in for a closer look. 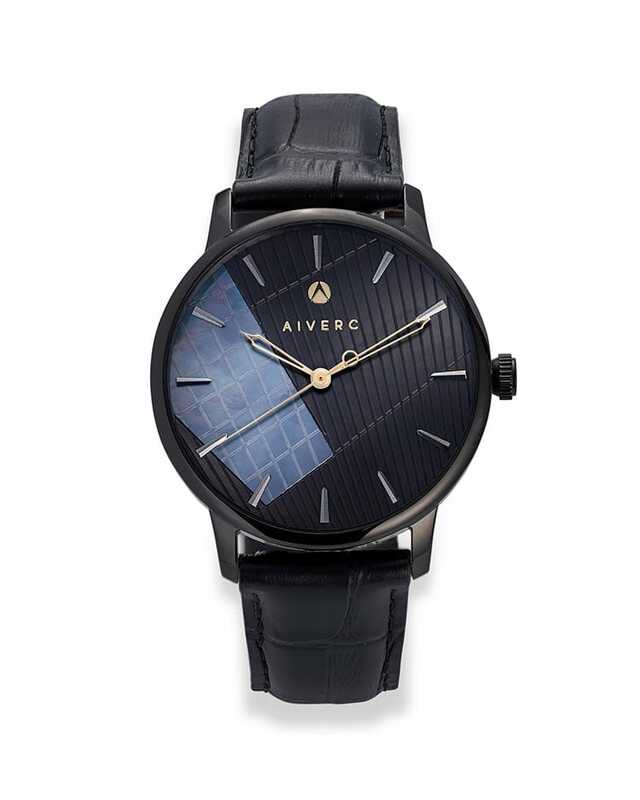 Aiverc watches were designed to be different from any other dress watch, providing a fashionable and daring alternative to the Jorn Utzon collections. Custom-designed applied indexes offer great contrast to the dial, with unique hands to create visual interest. Faena art center, which is located on a majestic stretch of beach in the heart of Miami Beach, integrates a dynamic combination of art, culture, and design as its foundation on designing the building. This design has made us fall in love at the first sight. The grey and concrete look represents the artistic, adventurous and fashionable mind. 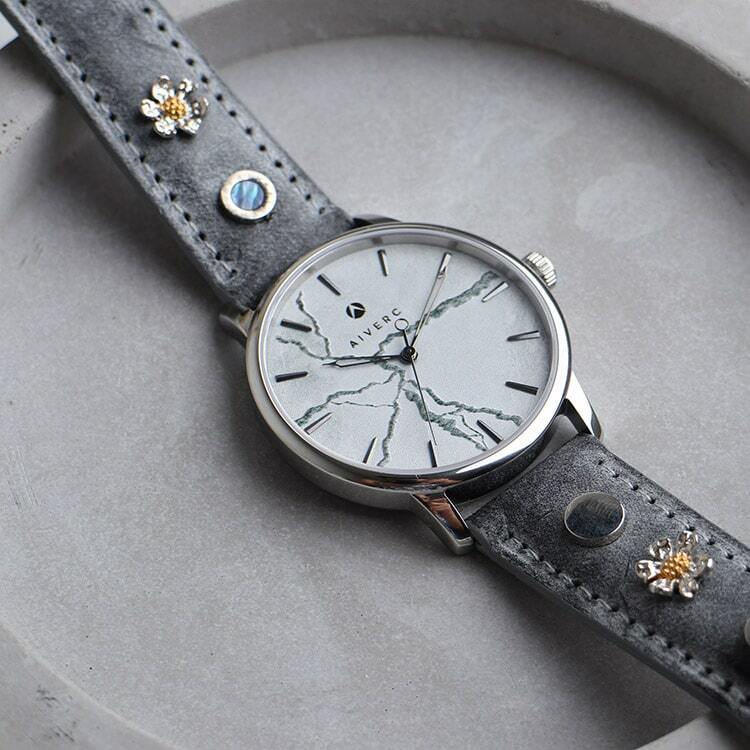 The unique cracked feeling and clean body is made with a thoughtful design in mind represent the feeling of a breakthrough unlike any other watches. To keep things interesting, we design the Ontario in black. We called it Ontario because it takes the design from the Royal Ontario Museum. Established in 16 April 1912, this museum acts as museum of art, world culture and natural history in Toronto, Ontario, Canada. What is amazing about this building is “the crystal”. The DE constructivist crystalline form is clad in 25 percent glass and 75 percent aluminum, sitting on top of a steel frame. In this design, we change the crystal into black mother of pearl which shows its beauty with the lustrous colours of green, purple, aubergine, blue, grey, silver or peacock, a mix of several shades, like a peacock’s feather. 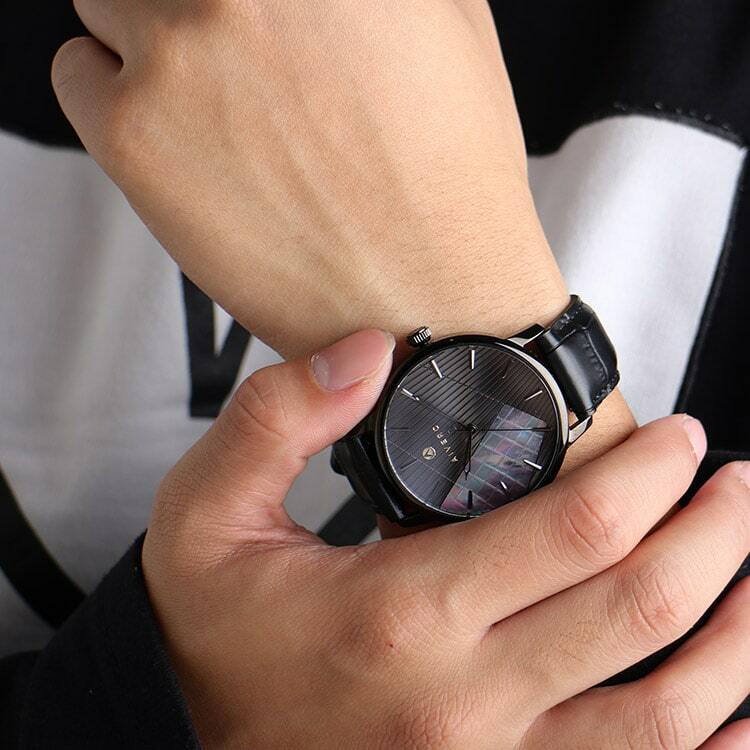 This amazing all black design comes with alligator black genuine leather straps, which also enhances the design. Aiverc uses 316L stainless steel for all of our watches. This long-lasting metal resists corrosion, meaning the beauty of Aiverc watches will stand the test of time. 316L Stainless steel is a grade of stainless steel that has extra-low carbon content and is extremely resistant to corrosion such as seawater or acidic liquids. 316L is also magnetic resistant, unlike the general-use stainless steel grade of 201 or 304L. 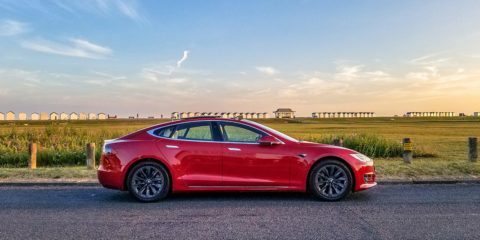 With Molybdenum added, it gives 316L a better overall corrosion-resistant property than 304L. Therefore the material is widely used in diving equipment due to the materials high corrosion-resistance. Most major luxury watch companies apply 316L for the overall well-rounded advantages. The stainless steel grade chosen by most luxury watchmakers is 316L (most notably Omega, IWC and Patek Philippe). Stainless steel watches with 316L are quite similar to 304L, with the difference that they incorporate 2-3 percent molybdenum – an element that increases the corrosion resistance against chlorides. Due to its superior qualities, 316L is often referred to as surgical grade stainless steel (it is the grade preferred in biomedical applications) or marine grade stainless steel (since it’s beneficial in marine environments). Aiverc watches are coated with Physical Vapor Deposition (PVD) plating. This process not only creates a brilliant finish, it protects them from the elements and improves durability. Aiverc has chosen citizen miyota 2035 which is well known for it’s accuracy. The Citizen Miyota quartz watch movements are made by the Miyota division of Citizen Ltd. The Miyota movement 2035 is considered to be one of its most famous and most reliable movements. The movement is the heart of the watch and arguably the most important part. Its accuracy per month is +/- 20 seconds and has a battery life of 3 years. 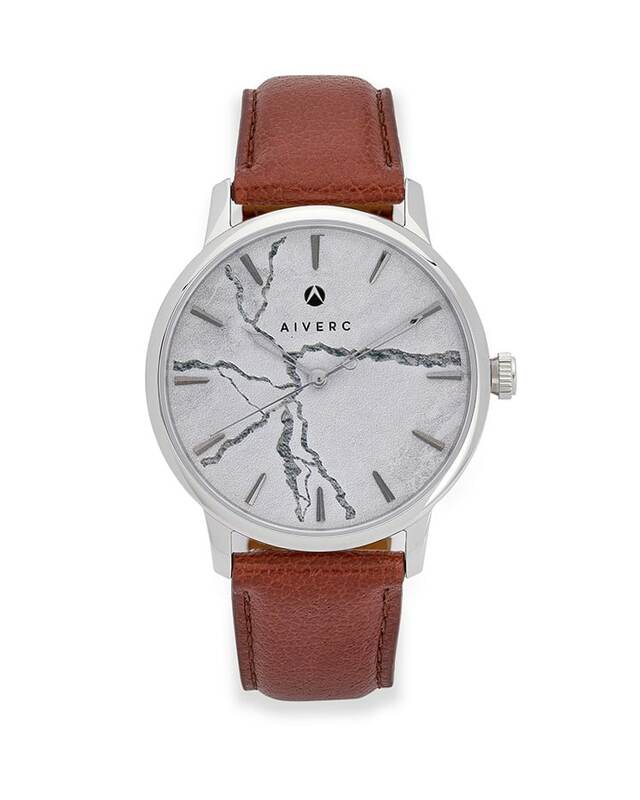 Aiverc utilizes electronic oscillators in its watches that are regulated by quartz crystals. This technology means that its watches only lose roughly 15 seconds a month, compared to automatic watches that can lose up to 15 seconds per day. Aiverc’s straps are made with calfskin leather, known for its extreme softness, fine grain and durability. Aiverc watches are water resistant and can be submerged up to 50 metres. Probably the most desirable watch glass is constructed of either synthetic or genuine sapphire. Generally synthetic sapphire is used. This is constructed of crystallised aluminum oxide and has the same physical attributes as the natural sapphire but without the colouring. Sapphire rates 9 around the Moh scale, (that’s the measures of relative hardness of materials) and it are just behind diamond, which measures 10. Of all of the glass, sapphire crystal is the least prone to shatter or be scratched. Contrary you ought to be more concerned that the watch may scratch another surface! The best way to tell mineral and sapphire glass apart is to try and scratch it, a stainless-steel knife or screwdriver will scratch mineral-glass but not sapphire crystal. Sapphire crystal is among the features that push up the price of top end watches. This is because of the need for expensive tools, which use diamonds to cut and shape the sapphire and the craftsmanship, involved. Have you heard of attaching charms onto watches (like Pandora but on watches)? The concept behind the charms on watches was inspired by the thought of people in mind. 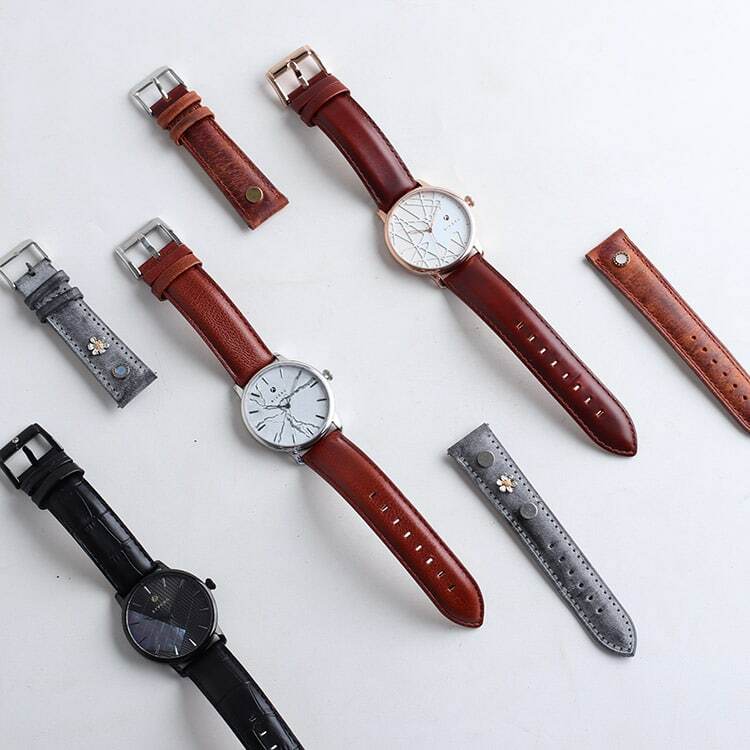 We want people to express themselves in a style by making a statement on their watches. Everyone has different style, hobbies, and lifestyle, we want people to be confident with themselves without being care about what other people think. That is why this collection is named #MAKEYOURSTATEMENT. 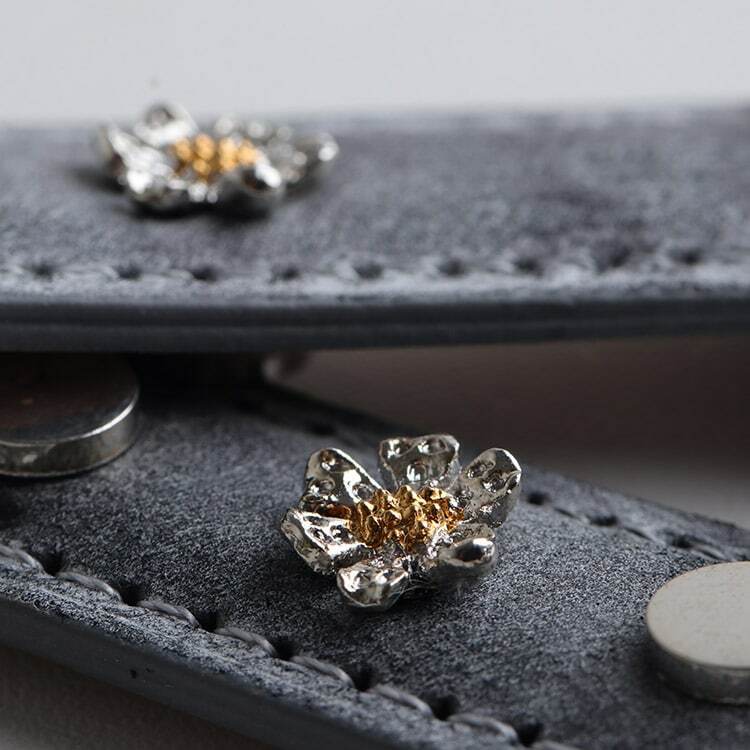 The charm are using magnetic design with 2 side of bottom and top. For the current moment, we have limited design of the charm, however, we are looking to produce more design that are related to daily life. In order to attached the charm, it is fairly easy. By using 5mm punching hole tools (similar use in belt hole puncher), you can punch the hole anywhere you like on the watch’s leather. You can insert the bottom of the charm through the hole and then attached the top. To achieve the project’s goal of AUD$ 20,000, Soh and the Aiverc team have decided to look to Kickstarter for initial funding. Soh will be offering rewards on the Kickstarter website for 35 days at a deeply discounted rate to secure early funding for the overall production and manufacturing of Aiverc’s first round of production.